The mid-engine Corvette may not debut until May at the earliest, but until then, we’ll likely be treated to more speculation and rumors. For today, a new patent suggests the mid-engine Corvette may receive a set of trick power doors. The Mid Engine Corvette Forum spotted the freshly published patent application on Thursday, which speaks of power doors. However, they’re not simply power doors. Those aren’t new, but the technology packed into this patent is. According to the filing, GM envisions a power door with a motor to open the door, but also a rotary actuator, position sensor, and a controller. The devices would work together to sense any forces working against the door when the driver or passenger goes to open the door. For example, the mechanisms could counter strong winds and provide more force to open the door comfortably. The smart power doors could also detect obstructions, likely to keep someone from dinging a door in parking lots—an all too common woe. We don’t know if this feature will be exclusive to the mid-engine Corvette, or if GM has plans to produce the system at all. Automaker regularly patent systems and technologies just to keep competitors from duplicating them exactly. But, the patent image does show a Corvette, which may be a placeholder for the mid-engine model that’s on the horizon. Last we heard, our sources told us the C8 Corvette had been delayed six months as engineers rework the entire electrical system to handle the car’s load. The news meant the car would skip the North American International Auto Show in Detroit next month and debut at its own standalone event. Our well-placed sources believe May is the earliest we may see the car. 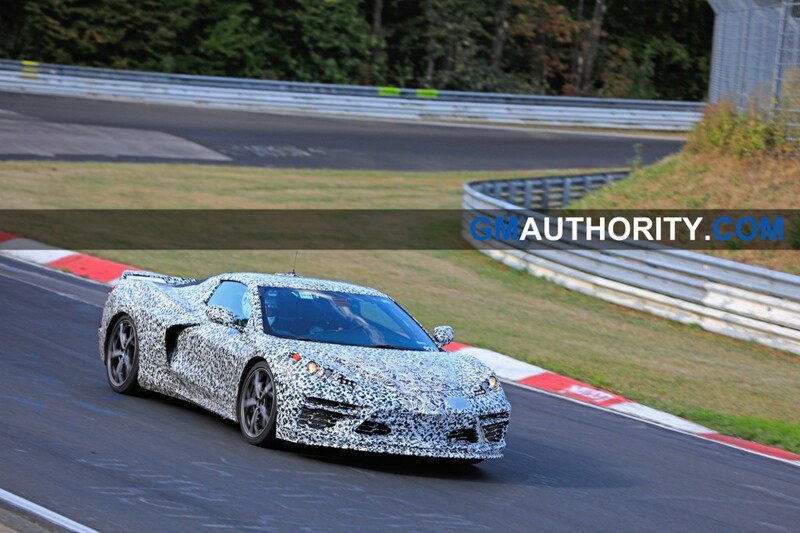 If not, look for the mid-engine Corvette to finally debut in summer 2019. Next story How Much Can Buyers Save With The Chevrolet Employee Discount For Everyone Incentives? this seems more apropos for a taxi/autonomous vehicle. General Motors are over thinking things when they should remember Keep the KISS rule which is Keep It Simple Stupid; they can try adding additional stupid ideas once the C8 Corvette has been successfully launched. This is an answer looking for a question. I would much rather GM use the money / engineering resources to fix the problems that bedeviled all the last C&D long term Corvettes.